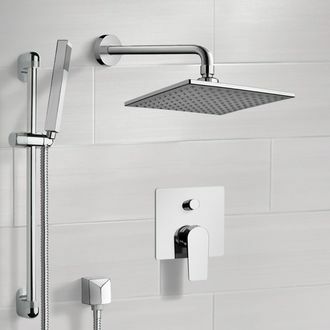 Shop our selection of shower faucets with handheld and get FREE shipping on all orders over $99! 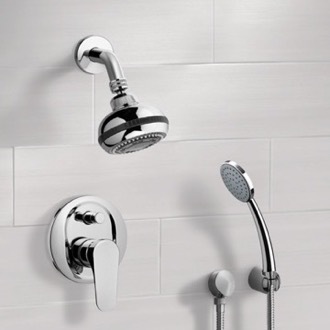 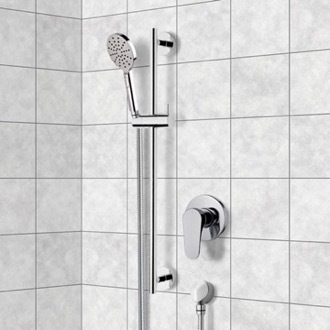 If you want to live the spa life at home, consider a shower faucet with handheld accessories. 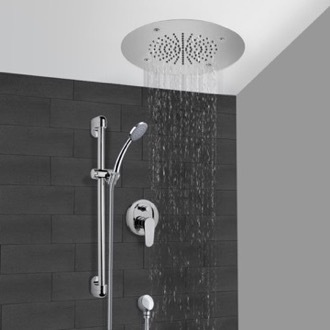 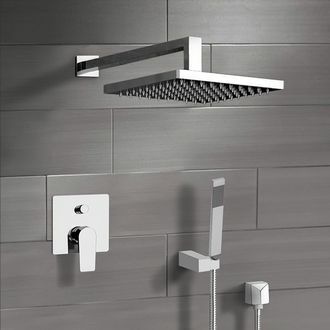 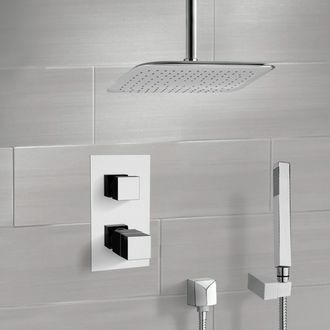 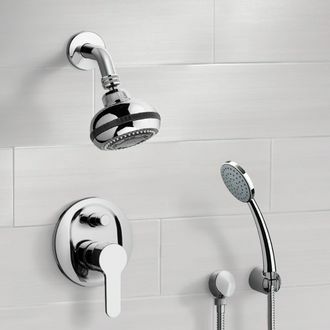 These multi-functioning shower faucets come in a range of styles, from traditional wall-mounted to modern rain shower faucets. 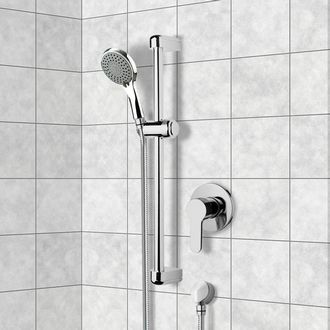 The difference of course, is the handheld shower wand, which may be built right into the showerhead or accessible via a shower diverter. 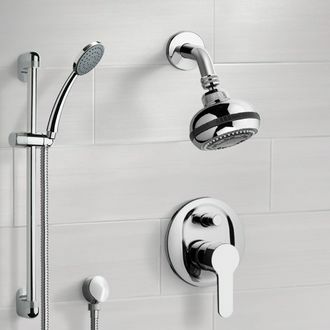 Handheld shower faucets are great for a cleanup assist - whether you're rinsing your hair or scrubbing the tub.